This photograph has been scaled down; full resolution photograph is available here (5,200 by 4,120 pixels). Imagine being the soldiers that had to find such a horrid situation. Imagine the anger at finding women and children in such a deteriorating state. Imagine the emotions that ran through them. Was it right? Maybe not. But was it understandable? Yes. And the commenter before this one is ignorant. This are no Guards. 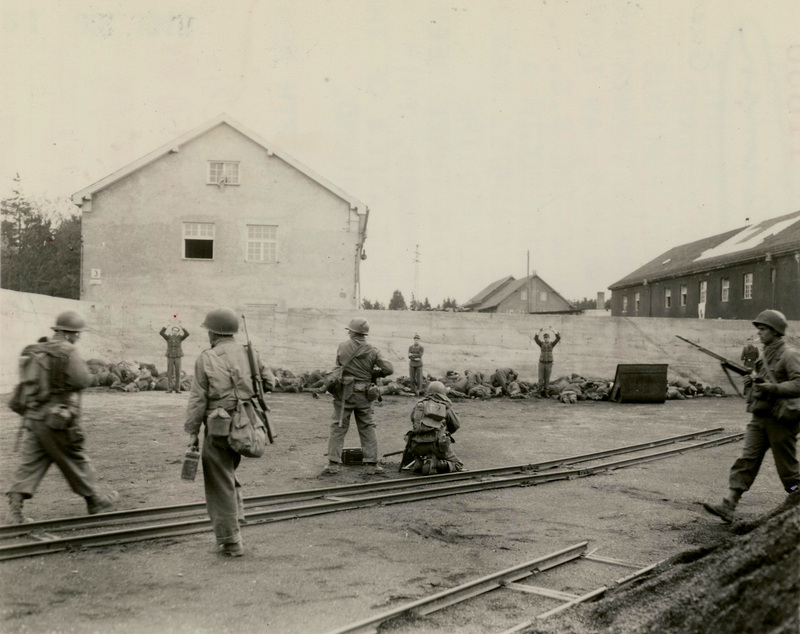 it are SS Personnel which were on the camp are for R&R and in the hispital because they were WSS who fought and not Totenkopf SS who "Guard" the camp. Thats why its so wrong that they were shot. They just arrived for a few days. Yes SS, thats disgusting by itself, but at the wrong time at the wrong place. They had nothing to do with the camp, they just were there to get a rest from the eastern front..still I am shcked that no S troops were charged.. even Patton knew about the massacre. Now compare it to Malmedy. Get it? Both is wrong but only the losers of the war got to pay the price. Just plain wrong. All have to. USA justice at its best.